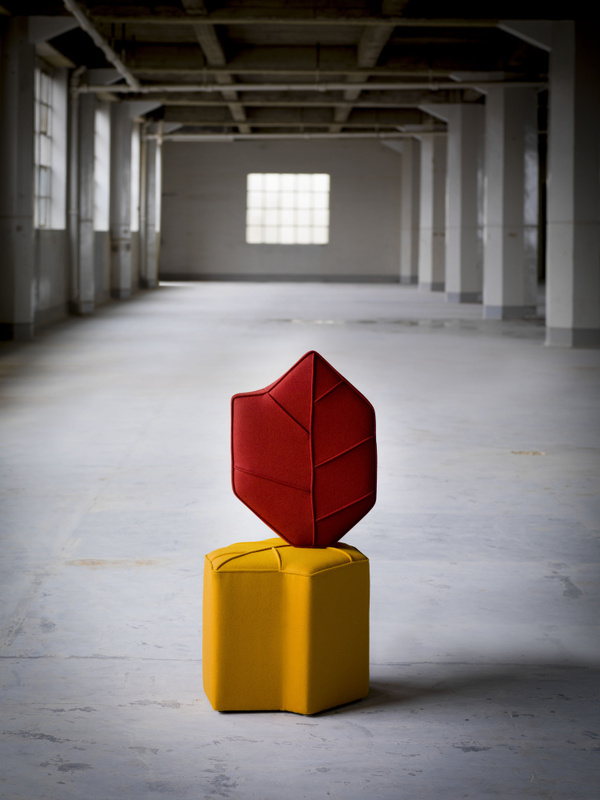 The multi-awarded Leaf seat is a unique piece of furniture that works on its own or, when tessellated, instantly turns into a larger object, like a daybed. 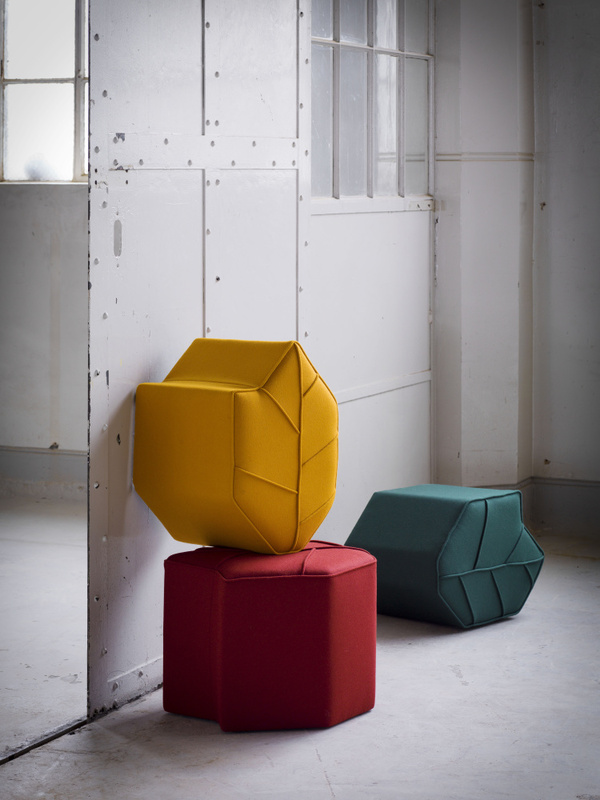 Upholstered in warm, inviting Kvadrat wool colours. It's perfectly suitable to create flexible seating arrangements that stimulate communication and interaction and the stool works great in any interior: home, office or hotel. Designer Nicolette de Waart comes from the Netherlands, drawing inspiration from the countries where she has lived and visited, including Singapore and the UK, where she is based and her products are hand-made by craftsmen. 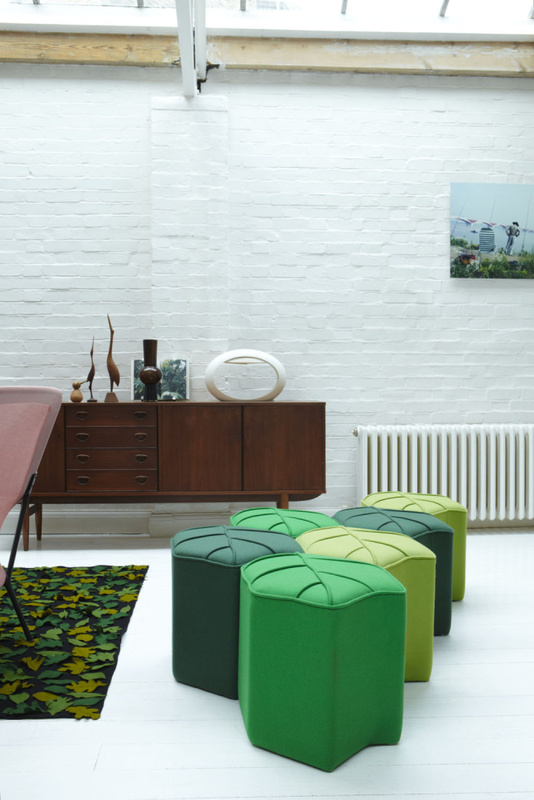 Her previous furniture includes her metal bookshelves, Corian Solid Oak desk and daybed. 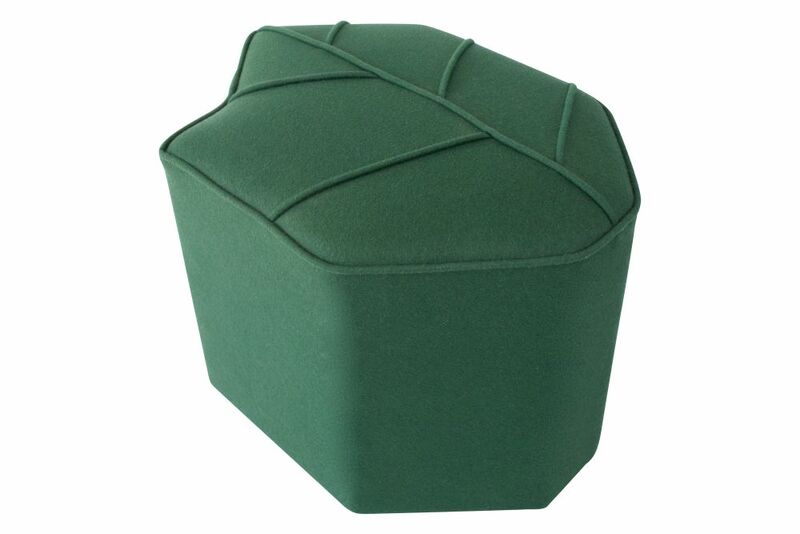 Her Multi-Awarded Leaf Seats have been used in numerous projects for leading companies like GOOGLE Head office in Dublin, Accor Hotel group and MR Architecture in New York and the pouf is featured in Missoni showroom London and she recently launched her Poppy Bloom Stools and Outdoor Leaf Seats.